Wapjotter: I.c.t and Soccer predictions with football betting tips. Home | I.C.T. 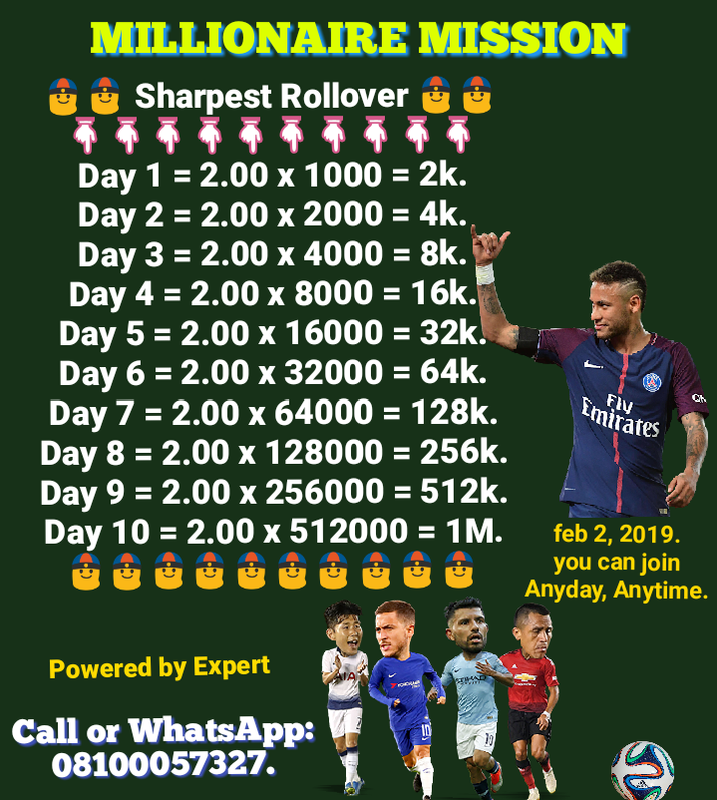 | Betting Tips. | Soccer Prediction. | Jotter Creator. 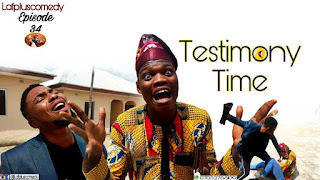 MTN DATA CHEAT: Get 350MB with N50, and 1.2GB with N150. 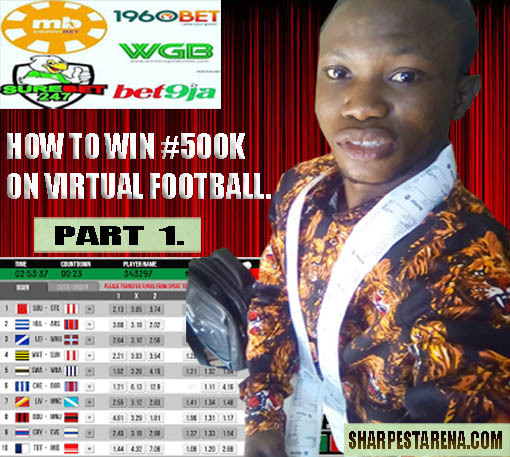 Football betting secrets, tips, how to predict and win everyday. PSG News: Neymar could be back on Sunday, says PSG coach. Cardiff's Warnock hopes to avoid thrashing by Liverpool. 3 Man City players make six-man shortlist for PFA award. How to win 500k on Virtual Football (Part 1). 8-Facts of life: How to become successful in life. 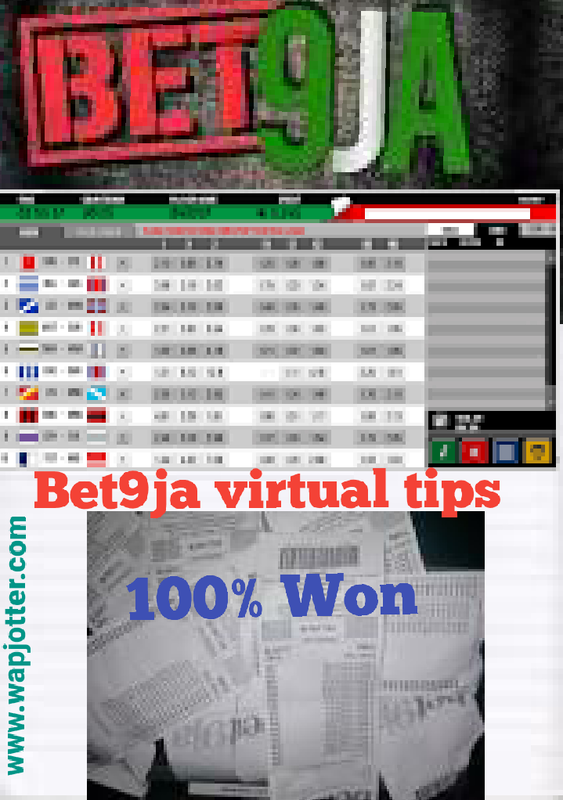 Bet9ja Virtual cheat, 100% sure, play and win. 4Steps to create a Facebook marketing campaign. How to make Peanut Burger at home. 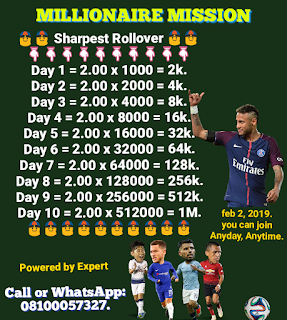 2nd Edition: 10 Days Ultimate Rollover of 2odds. 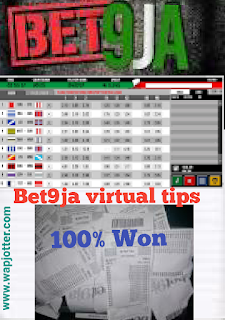 Bet9ja virtual prediction, vfl tricks, tips, and correct scores.